For people whose lives are guided by the Bible, the reality of death is acknowledged as part of the current human condition, affected by sin (Genesis 2:17; Romans 5; Hebrews 9:27). There is “a time to be born, and a time to die” (Ecclesiastes 3:2). Although eternal life is a gift that is granted to all who accept salvation through Jesus Christ, faithful Christians await the second coming of Jesus for complete realization of their immortality (John 3:36; Romans 6:23; 1 Corinthians 15:51-54). While waiting for Jesus to come again, Christians may be called upon to care for the dying and to face personally their own death. Pain and suffering afflict every human life. Physical, mental, and emotional traumas are universal. However, human suffering has no expiatory or meritorious value. The Bible teaches that no amount or intensity of human suffering can atone for sin. The suffering of Jesus Christ alone is sufficient. Scripture calls Christians not to despair in afflictions, urging them to learn obedience (Hebrews 5:7-8), patience (James 1:2-4), and endurance in tribulations (Romans 5:3). The Bible also testifies to the overcoming power of Jesus Christ (John 16:33) and teaches that ministry to human suffering is an important Christian duty (Matthew 25:34-40). This was the example and teaching of Jesus (Matthew 9:35; Luke 10:34-36), and this is His will for us (Luke 10:37). Christians look in anticipation to a new day when God will end suffering forever (Revelation 21:4). Developments in modern medicine have added to the complexity of decisions about care for the dying. In times past, little could be done to extend human life. But the power of today’s medicine to forestall death has generated difficult moral and ethical questions. What constraints does Christian faith place upon the use of such power? When should the goal of postponing the moment of death give way to the goal of alleviating pain at the end of life? Who may appropriately make these decisions? What limits, if any, should Christian love place on actions designed to end human suffering? It has become common to discuss such questions under the heading of euthanasia. Much confusion exists with regard to this expression. The original and literal meaning of this term was “good death.” Now the term is used in two significantly different ways. Often euthanasia refers to “mercy killing,” or intentionally taking the life of a patient in order to avoid painful dying or in order to alleviate burdens for a patient’s family or society. (This is so called active euthanasia.) However, euthanasia is also used, inappropriately in the Seventh-day Adventist view, to refer to the withholding or withdrawal of medical interventions that artificially extend human life, thus allowing a person to die naturally. (This is so called passive euthanasia.) Seventh-day Adventists believe that allowing a patient to die by foregoing medical interventions that only prolong suffering and postpone the moment of death is morally different from actions that have as their primary intention the direct taking of a life. Seventh-day Adventists seek to address the ethical issues at the end of life in ways that demonstrate their faith in God as the Creator and Redeemer of life and that reveal how God’s grace has empowered them for acts of neighbor love. Seventh-day Adventists affirm God’s creation of human life, a wonderful gift worthy of being protected and sustained (Genesis 1-2). They also affirm God’s wonderful gift of redemption that provides eternal life for those who believe (John 3:15; 17:3). Thus they support the use of modern medicine to extend human life in this world. However, this power should be used in compassionate ways that reveal God’s grace by minimizing suffering. Since we have God’s promise of eternal life in the earth made new, Christians need not cling anxiously to the last vestiges of life on this earth. Nor is it necessary to accept or offer all possible medical treatments that merely prolong the process of dying. 1. A person who is approaching the end of life, and is capable of understanding, deserves to know the truth about his or her condition, the treatment choices and the possible outcomes. The truth should not be withheld but shared with Christian love and with sensitivity to the patient’s personal and cultural circumstances (Ephesians 4:15). 2. God has given human beings freedom of choice and asks them to use their freedom responsibly. Seventh-day Adventists believe that this freedom extends to decisions about medical care. After seeking divine guidance and considering the interests of those affected by the decision (Romans 14:7) as well as medical advice, a person who is capable of deciding should determine whether to accept or reject life-extending medical interventions. Such persons should not be forced to submit to medical treatment that they find unacceptable. 3. God’s plan is for people to be nourished within a family and a faith community. Decisions about human life are best made within the context of healthy family relationships after considering medical advice (Genesis 2:18; Mark 10:6-9; Exodus 20:12; Ephesians 5-6). When a dying person is unable to give consent or express preferences regarding medical intervention, such decisions should be made by someone chosen by the dying person. If no one has been chosen, someone close to the dying person should make the determination. Except in extraordinary circumstances, medical or legal professionals should defer decisions about medical interventions for a dying person to those closest to that individual. Wishes or decisions of the individual are best made in writing and should be in agreement with existing legal requirements. 4. Christian love is practical and responsible (Romans 13:8-10; 1 Corinthians 13; James 1:27; 2:14-17). Such love does not deny faith nor obligate us to offer or to accept medical interventions whose burdens outweigh the probable benefits. For example, when medical care merely preserves bodily functions, without hope of returning a patient to mental awareness, it is futile and may, in good conscience, be withheld or withdrawn. Similarly, life-extending medical treatments may be omitted or stopped if they only add to the patient’s suffering or needlessly prolong the process of dying. Any action taken should be in harmony with legal mandates. 5. While Christian love may lead to the withholding or withdrawing of medical interventions that only increase suffering or prolong dying, Seventh-day Adventists do not practice “mercy killing” or assist in suicide (Genesis 9:5- 6; Exodus 20:13; 23:7). They are opposed to active euthanasia, the intentional taking of the life of a suffering or dying person. 6. Christian compassion calls for the alleviation of suffering (Matthew 25:34-40; Luke 10:29-37). In caring for the dying, it is a Christian responsibility to relieve pain and suffering, to the fullest extent possible, not to include active euthanasia. When it is clear that medical intervention will not cure a patient, the primary goal of care should shift to relief from suffering. 7. The biblical principle of justice prescribes that added care be given the needs of those who are defenseless and dependent (Psalm 82:3- 4; Proverbs 24:11-12; Isaiah 1:1-18; Micah 6:8; Luke 1:52-54). Because of their vulnerable condition, special care should be taken to ensure that dying persons are treated with respect for their dignity and without unfair discrimination. Care for the dying should be based on their spiritual and medical needs and their expressed choices rather than on perceptions of their social worthiness (James 2:1-9). 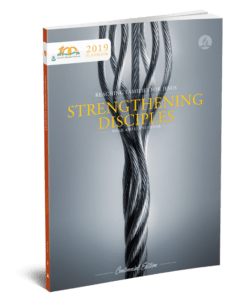 As Seventh-day Adventists seek to apply these principles, they take hope and courage from the fact that God answers the prayers of His children and is able to work miraculously for their well-being (Psalm 103:1-5; James 5:13-16). Following Jesus’ example, they also pray to accept the will of God in all things (Matthew 26:39). They are confident that they can call on God’s power to aid them in caring for the physical and spiritual needs of suffering and dying individuals. They know that the grace of God is sufficient to enable them to endure adversity (Psalm 50:14-15). They believe that eternal life for all who have faith in Jesus is secure in the triumph of God’s love. This consensus statement was approved and voted by the General Conference of Seventh-day Adventists Executive Committee at the Annual Council session in Silver Spring, Maryland, October 9, 1992.